Jewish DPs prepare to depart Bremen, Germany, for the United States. Throughout the spring of 1945, Allied troops liberated more than ten million forced and slave laborers, prisoners of war, and concentration camp survivors on German soil. The military authorities quickly repatriated the vast majority of the displaced persons (DPs) in the summer of that year. However, some of the remaining DPs refused to return to their homelands. Labeled as “non-repatriables,” the occupation authorities placed them in camps by nationality. Among the remaining DPs in Germany were a small number of Jews who wished to emigrate from Europe, and saw Germany only as a transit area. In the immediate aftermath of the war, many of these individuals recovered physically, emotionally, and mentally from their brutal treatment, searched for information about their families, and began to rebuild their communities. They quickly established a political structure, the Central Committee of Liberated Jews, printed newspapers and religious texts, and organized cultural, educational, and religious activities. Initially the occupation authorities refused to recognize them as a distinct group and often housed them in DP camps with hostile populations. Following a scathing report prepared by Earl Harrison in August 1945 that accused the United States military of treating the Jews in a manner similar to the Nazis, the occupation authorities finally established camps solely for Jews, which helped to foster community growth and cohesiveness. Beginning in late 1945, tens of thousands of Jews from Eastern Europe and the Soviet Union streamed into the western occupied zones of Germany and Austria, seeking relatives, emigration assistance, and protection from continuing antisemitism. They forced the occupation authorities to open additional camps and swelled the ranks of DPs already there. The vast majority of the Jewish DPs emigrated between 1948 and 1952, but a small Jewish population remained in Germany. The last camp, at Föhrenwald, was closed by the German government in 1957; by then, all remaining DPs were resettled into existing communities. The following bibliography was compiled to guide readers to materials on Displaced Persons that are in the Library’s collection. It is not meant to be exhaustive. Annotations are provided to help the user determine the item’s focus, and call numbers for the Museum’s Library are given in parentheses following each citation. Those unable to visit might be able to find these works in a nearby public library or acquire them through interlibrary loan. Follow the “Find in a library near you” link in each citation and enter your zip code at the Open WorldCat search screen. The results of that search indicate all libraries in your area that own that particular title. Talk to your local librarian for assistance. Discusses scholarship in the area of the survivor experience and their postwar lives. Provides a review of recent historiography and considers topics meriting further research. Includes articles about life in DP camps, resettlement, the American experience, and survivors in modern Israeli society. Studies the U.S. Army’s activities in postwar Germany through analysis of repatriation and resettlement efforts. Compares the experiences of Jewish and non-Jewish DPs and discusses the role that UNRRA played in camp life. Includes maps as well as tables and statistics on repatriation, population, and nationality distributions of the camps. Discusses immigration policies within the context of American history and the impact of frequently restrictive entrance requirements. Presents statistical information and quotes from government documents to demonstrate the situation during the years 1945-1952. Contains charts, endnotes, a bibliography, and an index. Examines the postwar American political climate and the role of special interest groups in shaping immigration policy. Details government interaction and relations with other countries concerning repatriation, resettlement, and the creation of the State of Israel. Includes statistics and reproductions of multiple primary sources, including the Harrison Report, as well as endnotes, a bibliography, and an index. Discusses mass immigration to the United States of refugees between 1945 and 1952. Presents the debates leading up to the passage of the Displaced Persons Acts of 1948 and 1950, including concerns about former Nazis entering America. Compares the activities of religious relief agencies and their efforts to assist and resettle refugees. Includes endnotes, a bibliography, and an index. Considers the establishment of and living conditions in the DP camps. Discusses the formation of identity and community structures in the camps, resettlement, and the creation of the State of Israel. Includes illustrations, a glossary, timeline, endnotes, a bibliography and an index. Intended for young readers. Reports on the political environment surrounding negotiations between Western Allies and the Soviet Union over refugee policy in postwar Europe. Details the refugee population in the Soviet and Western sectors of Germany and the diplomatic negotiations concerning either repatriation or resettlement. Discusses the liberation of Bergen-Belsen and its conversion into a DP camp by British authorities. Examines Anglo-Jewish response to the refugees as well as relief efforts and rehabilitation of survivors. Provides an overall view of the rebirth of Jewish culture and identity within the camp. Includes endnotes, a bibliography, and an index. Traces the role of survivors from the early days of liberation through life in the DP camps and clandestine travel to British-controlled Palestine. Uses interviews and documents to provide an account of postwar life in Europe and the establishment of the State of Israel. Includes maps, footnotes, endnotes, a bibliography, an appendix of primary sources, and an index. Provides an analysis of international refugee policy by examining policies of both the interwar and war eras. Discusses the immediate postwar emphasis on repatriation and the issues raised when DPs refused to return to their countries of origin. Covers the establishment of the International Refugee Organization and its tasks to resettle DPs throughout the world. Includes footnotes and a bibliography. Introduces the reader to general DP camp history and experiences in Jewish and non-Jewish camps. Draws on historical documents and interviews with former DPs to provide a history of the daily activities and concerns of camp residents. Includes photographs, endnotes, a bibliography, and an index. Illustrates the policies and activities of the United States Military in the immediate aftermath of World War II. Considers the treatment of DPs and the role of soldiers and military personnel in the creation and administration of the camp system. Includes a glossary, charts, maps, endnotes, and an index. Presents English-language translations of interviews conducted in DP camps with Holocaust survivors. Provides first-hand accounts of conditions in DP camps. 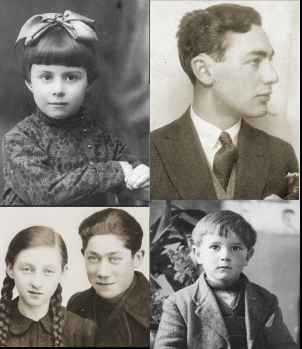 Many transcripts and audio clips are available online at the Voices of the Holocaust (external link) site. Recounts the author’s experiences as a Jewish-American administrator in multiple DP camps in postwar Germany. Describes his personal interactions with survivors during his five years as a social worker traveling widely between the DP camps and Israel, Africa, and the United States. Includes appendices and an index. Offers the author’s personal observations and experiences as the deputy director of Wildflecken DP camp from 1945-1951. Contains insights into repatriation and resettlement issues for Poles and Balts. Presents the author’s candid tales of her experiences working as a civilian relief worker in several DP camps in Germany inhabited by Poles, Ukrainians, and people from the Baltic countries. Reproduces edited transcripts from 34 of the interviews conducted by David P. Boder. Presents the experiences of DPs from France, Germany, Hungary, Lithuania, Poland, and Slovakia. Includes a glossary of terms, a glossary of ghettos and camps, a bibliography, and an index. Presents the author’s experiences as a social worker with UNRRA from 1945 through 1948. Reprints original journal entries from her years in the DP camps interspersed with present-day recollections of those experiences. Provides a view of the struggles experienced by survivors through the eyes of a teenager in the Feldafing DP camp. Shares the tales of survivors and the shifting attitudes of American troops toward DPs from the spring of 1945 to the spring 1946. Discusses how survivors reorganized their lives and culture in the camps while regenerating a sense of community. Based on the author’s experiences in postwar Germany as a Jewish-American GI and translator. Includes an index. Reproduces letters of a Jewish-American Army chaplain to his wife while serving in DP camps in 1945 and 1946. Includes observations and journal entries made during the author’s return trip to Germany in the early 1950s. Discusses the role of American Jews in aid to Holocaust survivors and analyzes the work of the American Jewish Joint Distribution Committee (JDC), the Hebrew Sheltering and Immigrant Aid Society (HIAS), and the Organization for Rehabilitation and Training (ORT). Presents the immediate postwar situation of DPs and the development of refugee camps. Includes photographs, maps, and an index. Investigates the lives and activities of ultra-Orthodox women survivors in the displaced persons camps from 1945 until 1948. Includes footnotes. Describes the experiences of residents of the Föhrenwald DP camp and their immediate postwar emotional state. Considers the reestablishment of daily life in the camps, the return to religious life, and the spread of Zionism. Includes a brief discussion of the author’s immigration to and new life in America. Contains endnotes and an index. Analyzes the experiences of Jews who began to rebuild their lives in DP camps and emphasizes the tensions between Jews and their former oppressors. Includes interviews with 15 former DPs to demonstrate the diversity of experiences in the refugee camps and after their closure. Sketches the development and situation of the postwar Jewish community in Germany. Includes endnotes and an index. The Library also has an edition in German under the title Nach dem Holocaust. Discusses the attempts by President Harry S Truman to come to a consensus with Great Britain concerning the future of Jewish survivors residing in DP camps in Germany. Identifies key figures from Zionist and non-Zionist Jewish groups active in debates about immigration to British-controlled Palestine and eventually the creation of the State of Israel. Includes illustrations, endnotes, a bibliography, and an index. Discussion of formal and informal attempts to commemorate victims in the immediate postwar period, the adaptation of traditional religious ceremonies to accommodate the victims of the Holocaust, and death in the displaced persons camps. Includes endnotes. Discusses the establishment of sporting associations in the DP camps and their ties with political parties, emphasizing the relationships between the Farband, Maccabi, and Hapoel groups. Includes photographs and endnotes. Addresses the vibrant community life that flourished in DP camps, the last Yiddish-speaking villages in Europe, under the protection of the occupation forces. Deals with the re-establishment of Jewish communities within Germany, by both German-Jewish survivors and Eastern European Jews. 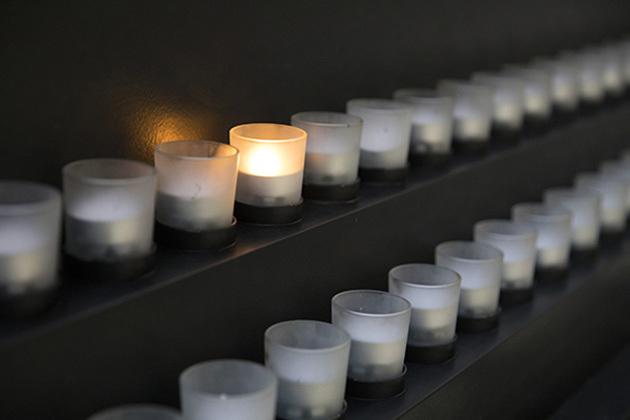 Studies the relationship between Jewish-American chaplains and Holocaust survivors in DP camps. Analyzes the unique position of chaplains who worked closely with both the U.S. military and the American Jewish community to shape their understanding of the experiences and needs of survivors. Examines the responses of the U.S. government and American Jewish community to the situation of the DPs. Includes biographical notes, endnotes, a bibliography, and an index. Discusses multiple facets of the political activity amongst and about Jewish survivors. Analyzing She’erit Hapletah (the “Surviving Remnant”) in various postwar countries, the sessions also demonstrate the activities within DP camps, and the eventual resettlement to Palestine or the United States. Contains a list of participants and an index. Analyzes the experiences and impact of DPs in the American Occupation Zone of Germany. Profiles relations between the DPs, German civilians, U.S. Military forces, UNRRA/IRO, and non-governmental organizations. Discusses the ways that DPs that refused repatriation challenged notions of citizenship, nationality, ethnicity, and identity. Includes footnotes and a bibliography. Analyzes the role of wartime experiences in the creation of group identities among the DPs. Compares experiences under Nazi Germany to those under Soviet occupation, and highlights postwar concerns, such as Zionism and Soviet dominance, that influenced the creation of these identities. Includes a bibliography. Provides a comparison of the views held by the British and American governments concerning Jewish DPs. Discusses the political pressure placed on the Allies by DPs who wanted to resettle rather than return to Soviet-dominated Central and Eastern Europe. Also presents the roles played by the Italian, French, and Soviet governments in encouraging and facilitating migration of DPs to Palestine and other areas. Includes maps, endnotes, a bibliography, and an index. Presents information on the initial attempts by survivors to organize themselves following liberation. Details the political developments and international events that helped to forge solidarity in the DP camps. Analyzes the experiences of residents of Föhrenwald and Belsen. Includes endnotes, a bibliography, and an annotated list of Jewish DP camps. The Library also has an edition in German under the title Lebensmut im Wartesaal. Focuses on the struggles of DPs within Germany to preserve their heritage while shaping their own future. Emphasizes the Jewish DP population as an active and organized force in international politics during 1945-1949. Includes footnotes, a bibliography, and an index. Investigates the postwar activities of young Holocaust survivors in Germany and Poland. Analyzes the development of agricultural training programs and the establishment of kibbutzim and hakhsharot in Germany as preparation for resettlement in Palestine. Includes photographs, a glossary, endnotes, a bibliography, and an index. Collects speeches and presentations delivered at a conference hosted by the Second Generation Advisory Group of the United States Holocaust Memorial Museum in association with the American Jewish Joint Distribution Committee. Includes information on the work of the JDC, Allied DP policy, coping with psychological trauma, perspectives of second generation children, commemoration, and the DP legacy. Contains a bibliography, glossary, and maps of major Jewish DP camps. Presents the photo album of Zippy Orlin, a Jewish American social worker active in Bergen-Belsen after its conversion to the largest Jewish DP camp in Europe. Photos are arranged to demonstrate the diversity of life experiences in the camp and the resettlement process. Published in conjunction with the Netherlands Institute for War Documentation and the United States Holocaust Memorial Museum. Includes endnotes and biographies of contributors. Discusses the establishment of UNRRA and its mandate for work with displaced persons in Germany, Austria, and Italy. Presents guidelines and regulations for Jewish American organizations to facilitate their work in the DP camps. Includes a war-era bibliography and an index. Commissioned by President Harry S Truman the report documented and described the health and living conditions of the DPs, their long- and short term needs, how these needs were being met. Reproduces primary source documents held by the Joint Distribution Committee (JDC) in New York. Contains correspondence and other documents related to Holocaust survivors and Jewish DPs prepared between May 1945 and December 1950. Includes an overview of the archive and an annotated list of the documents. Reproduces primary source documents held by the World Jewish Congress in Cincinnati, Ohio. Contains correspondence and documentation concerning the Holocaust and Jewish relief efforts from 1933 through 1948. Includes an overview of the archive and an annotated list of the documents. Provides reports on the conditions in Neustadt and Bergen-Belsen DP camps. Presents information on the medical situation and rationing of food distribution in the camps. Contemporary account designed to help outsiders understand the DP problem. Addresses the common stereotypes of DPs in general and provides statistical information about nationalities, religions, ages, and skills. Recounts the procedures required for camp maintenance, including a list of organizations that helped support DP camps. Provides a comprehensive overview of the laws that established the Commission, its organizational structure, and summaries of its activities. Discusses the arrival and final destinations of DPs within the United States, and the programs and agencies that assisted this process. Contains tables and statistics related to the Commission’s work. Collection of primary sources that serves as a supplement to the author’s book The Abandonment of the Jews: America and the Holocaust, 1941-1945. Includes documents, newspaper articles, reports, letters, interviews, and meeting notes from the Army, refugee agencies and boards, and various U.S. government departments. Volumes 9–11 cover the War Refugee Board, the responses of several countries to the refugee issue, as well as the United States’ immediate involvement with DPs and immigration policies following the war. Traces the history of Nazism from its earliest roots in 1918 through the horrors of the Holocaust and the period of DP camps and the beginnings of the State of Israel. Two cassettes. Traces the lives and experiences of Holocaust survivors from the liberation of the camps, through the DP experience, and finally to the formation of the State of Israel. Includes archival footage, original broadcasts, and personal testimonies from survivors of the Holocaust. Profiles a young survivor who was deported to a death camp during the liquidation of the Warsaw Ghetto, escaped from a transport to take his chances in the countryside, and ultimately survived the war with a band of Jewish partisans to search for his family in the ruins of liberated Poland. Originally released in 1946 and produced by DPs in the American Zone of occupied Germany. In Yiddish, German and Polish with English subtitles. Presents archival film footage held by the Steven Spielberg Film and Video Archive at the United States Holocaust Memorial Museum, including images of DP camps, UNRRA activities, and postwar life for Holocaust survivors. Presents information on DPs and their experiences. Provides video clips of discussions with survivors, maps, illustrations, and links to online content. Discusses the organizational and logistical aspects of international cooperation to administer and coordinate DP camps. Includes illustrations, maps, and links to online content. Online presence for a special exhibition concerning DPs and their experiences. Includes timelines, photographs, maps, and a list of resources. Ask at the reference desk to see the subject file labeled “Refugees” containing newspaper and periodical articles.